Make even thin spacers hub-centric! Due to the fact that your BMWs wheel hubs extend a certain amount already, 5mm and 8mm wheel spacers are not able to be manufactured hub centric... a small portion of the hub will occupy the are where this would normally be built into the spacer. This may worry you as its important to have hub-centricity when installing wheels. Wheel Hub Extenders make it much easier to ensure you get no wheel-wobble at driving speeds and the shop that works on your car needs no special instructions when interacting with the wheels on your car. 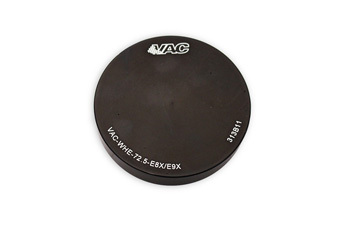 Our VAC Hub Extenders help to elongate the factory hub (for proper install of wheels when using spacers that are thinner than 10mm) allowing your wheels to still install hub-centric. CNC machined from heat-treated aluminum means strength, low weight, and a proper install. Now you can insure your wheels will be free of wobble no matter who installs them! From Cor of Alphen, Netherlands on 6/15/2016 . From Kevin of Mount Prospect, Illinois on 3/27/2015 . From Eric Brown of Topeka, Kansas on 8/15/2014 . From robc1976 of Columbia, Illinois on 3/16/2013 .